After the flurry of activity this week, the Patriots are primed to enter the season with all the pieces they need for a serious bid to repeat in the Super Bowl. Malcolm Butler has signed his tender, Danny Amendola has re-done his deal for the third year in a row and the team made an offer for free agent RB Mike Gillislee who would be a great fit. Of course, if the Bills decline to match the Patriots offer, New England will have to turn over their 5th round draft pick to Buffalo. But for now, until that is settled, we’re moving on under the assumption that they’ll choose in Round 5. 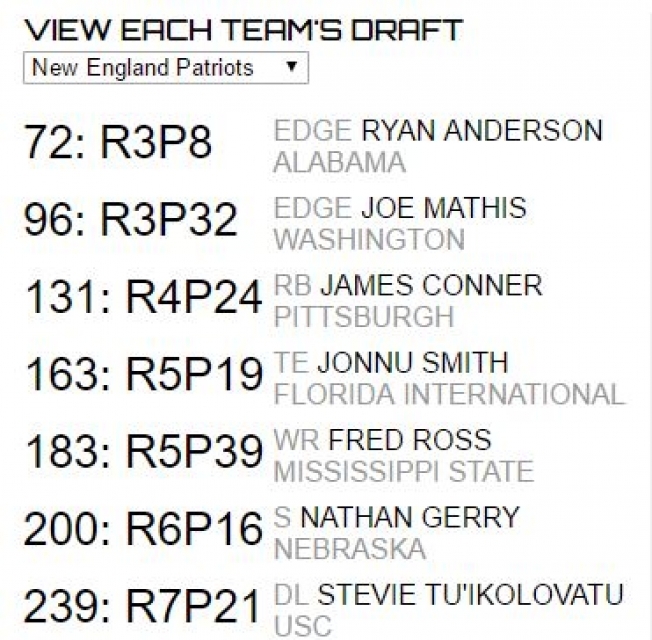 There is a fascinating tool to use for doing a mock draft made possible by the guys over at Fanspeak.com that we touted last year and it is even more, fun to use in 2017. Right now, the Patriots don’t pick until Round 3, #72 due to some of the trades that they’ve swung for Brandin Cooks and Kony Ealy. While they may still swing a deal to move up into the first two rounds, right now we’re going with what they have. In this mock, we’re going under the assumption that Malcolm Butler’s signing of his tender means that he will play in NE for at least the 2017 season so that changes our outlook considerably. Williams is a steal at #72. He’s a 6’4, 250-pound edge player with the frame to get bigger. 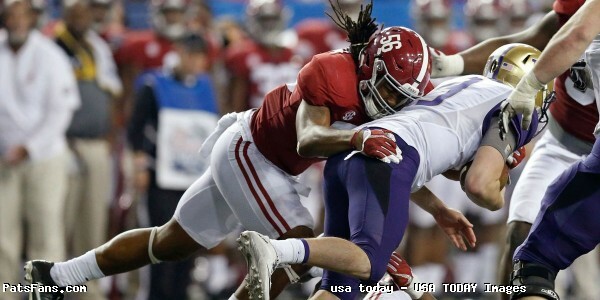 He can play OLB or DE and fell in this mock down to the 3rd round over character concerns. He’s an outstanding athlete, with excellent explosion, long arms and a very consistent playmaker. The Patriots have scouted Davenport and worked him out, so Dante Scarnecchia would have the final say if they can work with him. He has great size at 6’7, 318 pounds and a four-year starter. He was a team captain his final two years at Bucknell. Has tremendous arm length and strength in his hands where he can disrupt pass rushers, has enough athleticism to get out to the second level in the running game. His balance and foot placement. Kittle is a 6’4, 247-pound tight end that will help build the depth they need at the position. Kittle was an honorable mention All-Big Ten pick last season, in 11 starts, he produced 22 catches for 314 yards and four TDs. 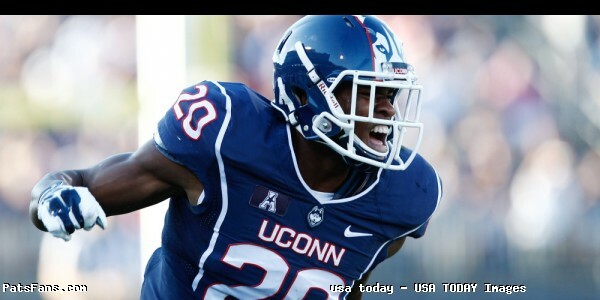 Clemons has tremendous size at 6’4, 217-pounds and would be the heir apparent to Pat Chung as the box safety. He has rare size, length, and athleticism for a man his dimensions. He’s a physical, tough tackler and will be the in-the-box safety and be able to play the hybrid linebacker role, the “Big Nickel” for the Patriots. He’s not a deep cover safety and at times takes poor angles to the runner. Was dismissed from Georgia after three failed tests for marijuana. Boston College has been churning out very good linebackers from their program from Mark Herzlich and Luke Kuechly and now Milano, who stepped up big for the Eagles the past two seasons. He turned in a very solid 2016 season with 58 tackles, 11 for a loss, 6.5 sacks, one interception, and a blocked punt. The undersized (6’0, 233-pounds) Milano plays “like a heat-seeking missile” on the defensive side of the ball, flying around the field looking for contact. He played 94 percent of the Eagles snaps in 2016 and has speed toughness with very good instincts in pass coverage as a converted safety. Bullough comes from a football family devoted to the Spartans. His father (Rose Bowl 1982), uncle and brother all played at Michigan State. He’s very athletic, plays downhill and flies all over the field. He was named the team’s “Most Inspirational Player” for the past two seasons. But at 6’2, 226, he’s not big enough to stand up to the physicality of the NFL as an inside linebacker. His path to the league will be as a special teams’ standout and his mentality, and athleticism will be a perfect fit. 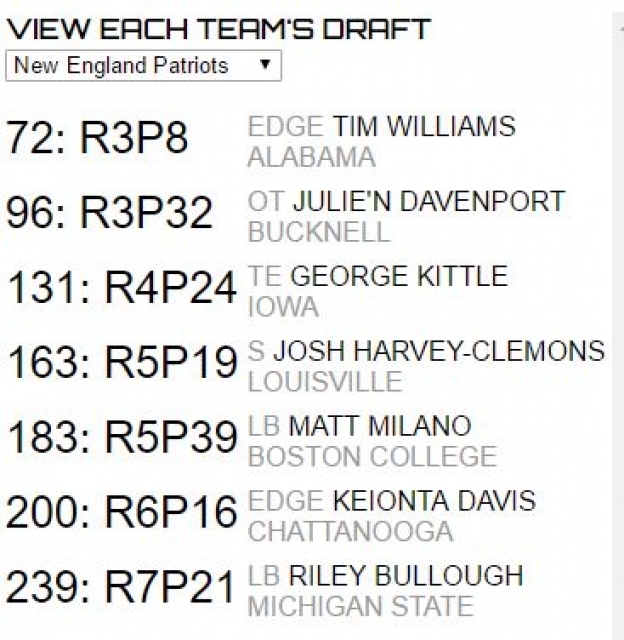 This entry was posted in 2017 NFL Draft, Patriots Commentary and tagged 2017 NFL Combine, 2017 NFL Draft, 2017 Patriots Season, Bill Belichick, Danny Amendola, George Kittle, Josh Harvey-Clemons, Julie'n Davenport, Keionta Davis, Malcolm Butler, Matt Milano, New England Patriots, NFL, Patriots, Patriots edge rushers, Tim Williams on April 21, 2017 by Steve Balestrieri. Good morning, here are your Sunday’s Patriots news 4-16, & AFC East Notes. We hope everyone is enjoying their Easter Sunday with their families and from all of us here, stay safe, happy, and healthy. Everyone is always trying to pin down what is the secret to the success of the Patriots. 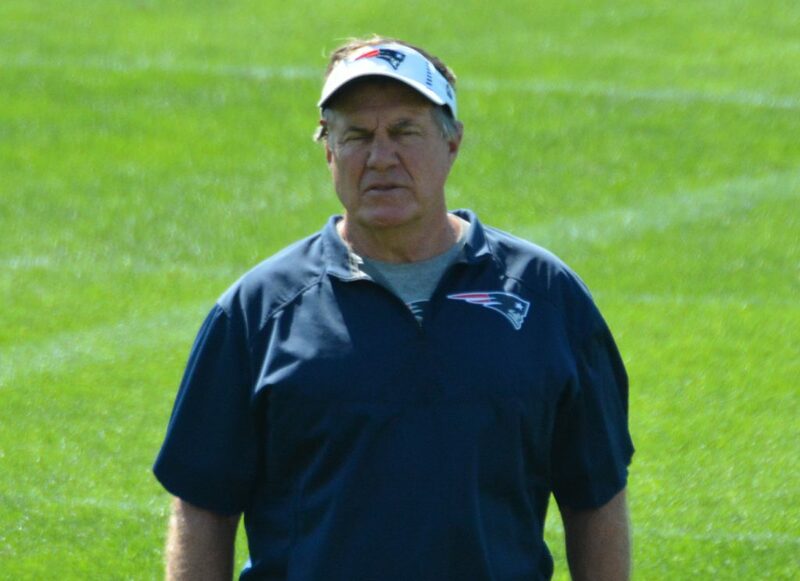 In an interview with CNBC’s Suzy Welch, Belichick handed down the four tenets of his leadership style. While these won’t jump off the page, to those who have followed Belichick and the Pats closely thru the years, it is all perfectly simple. With the news that Jason McCourty was released by the Tennessee Titans last week, an immediate destination was earmarked for the twin brother of Devin as New England. This is one rumor that we’ll buy into. Because it makes sense and is a fit for both the team and individual. The Patriots targeted McCourty a few seasons ago but they couldn’t come to an agreement with Tennessee. It makes sense on a couple of different scenarios. If the Patriots trade Malcolm Butler, McCourty would share the duties of the #2-3 CB with Eric Rowe beside Stephon Gilmore. If they keep Butler, it would give the Patriots a secondary unlike they’ve had here in many, many seasons. Appearing at an event at BU this week, the media quoted Devin McCourty, explaining his decision to skip the White House invitation by President Trump. The team will visit the White House on April 21. “For me, it was just the different things that come out of the White House or the administration just didn’t agree or align with some of my views,” McCourty said. Being a long-time soldier, we always went by the adage, “you salute the rank and not the man”, so in that line of reasoning I think they should go and respect the office. But I’m not going to put myself in another man’s shoes. If he feels that strongly then I respect his right to stay home. That’s one of the beauties of living in this country. And what we’ve sacrificed so much for. Another shot across the Bills’ bow? Possibly. The Patriots signed CB Stephon Gilmore away from the Bills this spring and WR Chris Hogan in 2016. This could be another former Bills player ending up in New England. Gillislee, 26, is coming off of a breakout type of season in Buffalo as LeSean McCoy’s backup running back. The 5’11, 219-pounder is a north-south runner who carries the ball very effectively inside and in the red zone. He had 101 carries for 577 yards (5.7 YPC) and eight touchdowns in 2016. He added nine catches for 50 yards in the passing game. 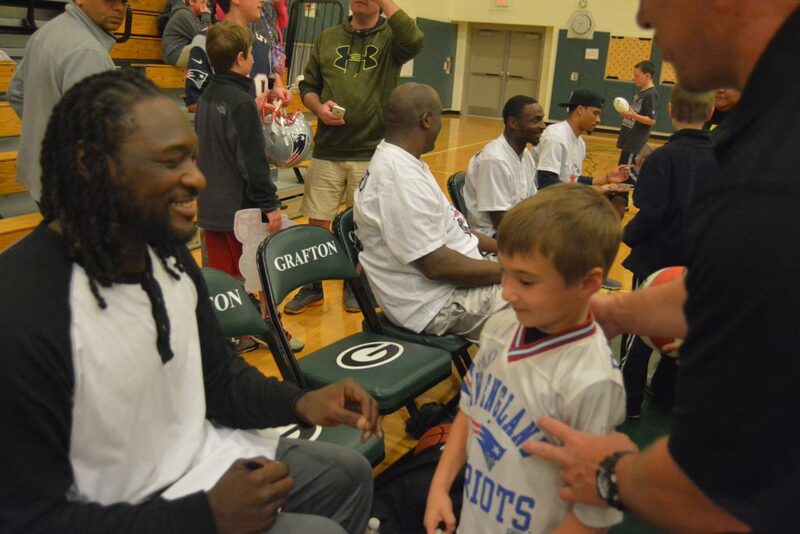 The question would be, is the Patriots interest real or is it leverage against LeGarrette Blount (see below) to sign his offer with the team. The Bills placed a 5th round tender against Gillislee which in our opinion here would be a bargain. Stay tuned. Mark this one down as a non-surprise. Lynch who was coming out of retirement to play for his hometown Raiders hit a snag in negotiations last week. He then leveraged Oakland by saying he’d welcome a deal with New England. We tried to tell everyone it was only a smokescreen, but the thought of adding “Beast Mode” to the backfield was too much for people to see through. And presto! Oakland after hearing he’d be willing to go to New England quickly signs him to a deal. Lynch never had any intention of playing here but it was a brilliant ploy on his part. 19-year old Dylan Wagner from Seattle got a phone call from Robert Kraft and was invited to go down on the field when the Patriots raise the banner on Opening Night. It was Wagner who tipped off the FBI through a friend in the ATF where Brady’s stolen Super Bowl jersey was. He had dealt with Martin Mauricio Ortega in Mexico a year ago and as the two corresponded, they shared pictures of their NFL memorabilia collections. Wagner spotted Brady’s jersey and alerted authorities. Kraft will fly him out for the Thursday opener and Wagner who hopes to meet Tom Brady will be on the field. Something tells me that an invite isn’t all he’s going to get. The Patriots announced this week that S/LB/ST 3rd year player Brandon King had signed his free agent tender and will be re-joining the team in 2017. King, 23, 6’2, 220-pounds was signed by the Patriots as an undrafted free agent out of Auburn in the spring of 2015. He was second on the team with 9 special teams’ tackles in 2016. The Buffalo Bills have a decision to make on wide receiver Sammy Watkins for the 2018 season. On May 2, the Bills will either pick up the fifth-year option for the talented but injury prone wide out or let him test free agency. On the surface it is a no-brainer, Watkins is slated to make only $3.1 million dollars in 2018. For a talented WR who is just 23, it would seem to be an open and shut case. But he’s missed 11 games in the past two years and has had surgery twice on the same foot. With his season shortened with the foot surgery, Watkins caught just 28 passes for 430 yards and two touchdowns in 2016. The Miami Dolphins re-signed two of their own free agents this week, tight end Thomas Duarte and cornerback LaFayette Pitts. A seventh-round pick from UCLA a year ago, Duarte began the season on the practice squad before being activated to the 53-man roster. He appeared in one game. The Dolphins also hosted UConn safety Obi Melifonwu this week. Melifonwu was a first-team All-American Athletic Conference selection and his team’s top tackler in 2016, making 118 hits, 2.5 for loss, leading the team with four interceptions and with three passes defensed. He ran a 4.40 in the 40 and shined in positional drills at the NFL Combine. The New York Jets suffered their third suspension in the past two months when CB Nick Marshall was suspended for the first four games of the 2018 season violating the NFL’s policy on performance-enhancing substances. Along with Marshall, wide receiver Jalin Marshall and tight end Austin Seferian-Jenkins will begin the regular season on the suspended list. Seferian-Jenkins was arrested for a DUI in Tampa last season and will miss the first two games for violation of the league’s personal conduct policy. Jalin Marshall will serve a four-game suspension for also violating the PED rules. He claimed that he mistakenly took a medication one time without receiving an exemption. This entry was posted in Patriots Commentary, Patriots News and tagged 2017 NFL Combine, 2017 NFL Draft, 2017 Patriots Season, Bill Belichick, Buffalo Bills, Devin McCourty, Miami Dolphins, New England Patriots, New York Jets, NFL, Patriots, Tom Brady on April 16, 2017 by Steve Balestrieri. After the initial mock draft we conducted, we’re back for another crack at the big board. There were big changes in this draft as the big board had changed, as we’ve mention in the past. The Patriots still have some holes to fill although they still have the flexibility in the salary cap to do just that. Right now, the Patriots don’t pick until Round 3, #72 due to some of the trades that they’ve swung for Brandin Cooks and Kony Ealy. While they may still swing a deal to move up into the first two rounds, right now we’re going with what they have. In this mock, we’re going under the assumption that Malcolm Butler will sign his tender and play in NE for at least the 2017 season, so that changes our outlook considerably. No change from Mock 1.0, Anderson will be a Day 1 starter at the SAM linebacker position next to Dont’a Hightower. Coming from a championship football program at Alabama with Bill Belichick’s buddy Nick Saban and playing in a similar system means his learning curve will be an easy one. He’s consistently as good setting the edge against the run as he is against the pass in coverage. He’s also a good pass rusher and can blitz off the edge with good pass rush moves and a power bull rush. He’s also a very good STs player something Belichick loves in his linebackers. Day 1 starter. 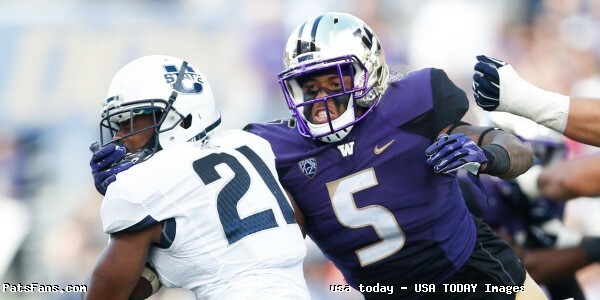 The Patriots get a possible steal at defensive end with Mathis who was coming into his own when he injured his foot that required surgery after just six games for the Huskies in the 2016 season. In those six games, Mathis garnered 25 tackles, five sacks and a pass defensed in his final season. He’s very good at setting the edge in the running game and has the hands, strength, and quickness to come off the edge and put pressure on the quarterback. Limited tape due to his injury will push him down the board…and right to New England. Conner is another steal for the Patriots as he’s had to battle back from a torn ACL and cancer specifically Hodgkins Lymphoma in 2015. He returned in 2016 and gained more than 1000 yards with a 5.1-yard average and 16 touchdowns. He’s got tremendous size at 6’1, 233-pounds and will move the pile in short yardage and on the goal line. He’s a punishing runner that runs low, hard and gets yards after contact. Smith is a move TE at 6’3, 248-pounds but has shown the willingness and strength to block in the running game. Smith has the ability to work all three levels of the field. He has the speed to run right by linebackers in coverage. Had 42 catches for 506 yards and four touchdowns in 2016. He good with the ball in his hands and can make plenty of YAC (yards after the catch). He has loose hips and possesses good lateral movement but has to work on his hands. He’s had 10 drops the least two seasons. Ross nicknamed “the Boss” was a favorite target of Dak Prescott before he moved on to the Cowboys last season. Ross has been heavily scouted by the Patriots and although he missed Prescott still put up good numbers in 2016, 72 catches, 917 yards and 12 touchdowns for the Bulldogs. He doesn’t possess great top-end speed and has far too many drops (8 in 2016), but he uses his body well to block out defenders. He’ll fight for position when the ball is in the air and offers good punt return capability, something that may earn him a roster spot. With the WR position stacked in New England, that may be just what he needs to stick. Gerry is an in-the-box safety that is very solidly built at 6’2, 218-pounds. He was named third team All-Big Ten with 68 tackles, 5.5 for loss, four interceptions and eight pass breakups. He has very good instincts with both the run and the pass. He’s limited athletically however and despite having decent straight-line speed with 4.58 in the 40 Yard Dash, he doesn’t have the agility to be a deep cover safety. 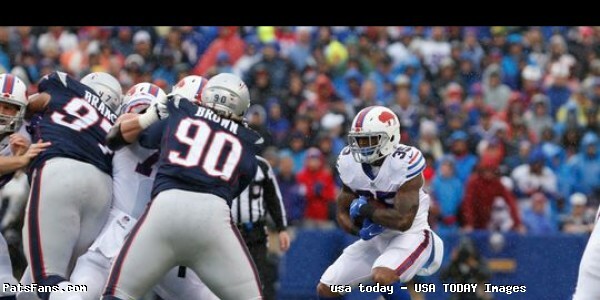 He’d be placed in the role that Pat Chung has excelled in as a box safety, patrolling close to the line of scrimmage. Tui’kolovatu is an overaged prospect (26), due to a two-year commitment with his church in the Philippines. He played at Utah for a couple of years but left for USC and more playing time in his final season. 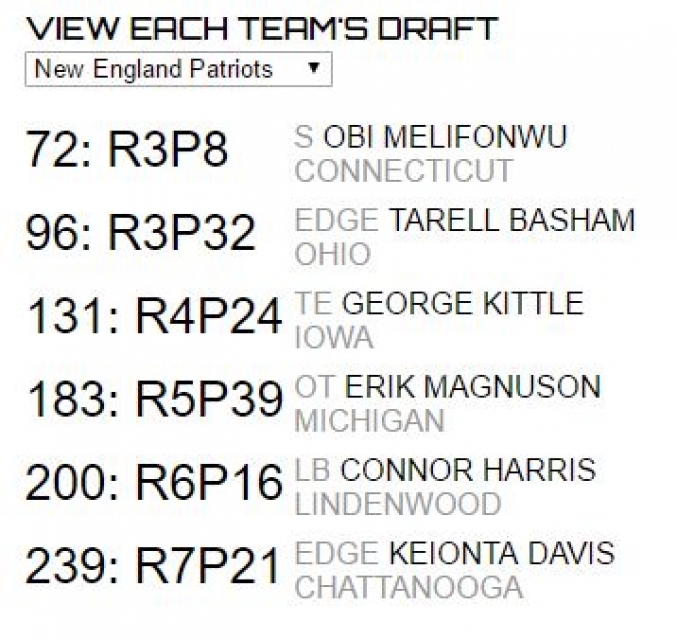 This entry was posted in 2017 NFL Draft, Patriots Commentary and tagged 2017 NFL Combine, 2017 NFL Draft, 2017 Patriots Season, Bill Belichick, Fred Ross, James Conner, Joe Mathis, Jonnu Smith, Nathan Gerry, Ryan Anderson, Steve Tui'kolovatu on April 14, 2017 by Steve Balestrieri. 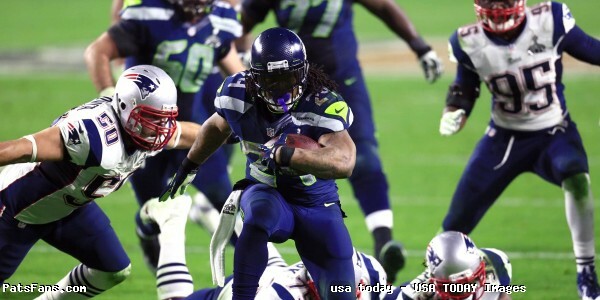 Marshawn Lynch to the Patriots? Sorry, that dog won’t hunt. Yesterday reports surfaced from Jeff Howe of the Boston Herald tweeted out that the Skittles-loving, non-media talking bruiser of a running back said that if his talks with the Raiders fall through, that he’d be interested in going to New England. Lynch retired after the 2015 season where he played in just seven games and rushed for 417 yards on 111 carries. It seemed like time had caught up to talented running back who had rushed for 1200 yards and 10+ plus touchdowns in the previous four seasons with the Seahawks. Asked about his status last season, Lynch was adamant. But apparently, he’s had a change of heart. The Raiders need a bruising, power back and Lynch, if a year off from football had stoked his desire to play again as well as healed him up enough would be a great fit. Seattle still owns his rights however GM John Schneider has stated that the Seahawks will not stand in his way should he opt to return. The Raiders’ need trumps Lynch’s desire to play football and that is where things get interesting. Apparently, the talks between the two sides have hit a snag. So Lynch did what any good salesman does, he threw another hook in the water. He said that if the talks with Oakland break down, that he’d be interested in playing for New England if that happens. The Patriots, not-so-coincidentally need a power running back too. And nothing would put the fear of God in the Raiders more than a re-energized, revitalized Lynch being part of the Patriots offense. LeGarrette Blount is a free agent and has reportedly turned down the Patriots offer to return. The team has five running backs on the roster right now. Rex Burkhead, James White, Dion Lewis, D.J. Foster and Brandon Bolden but the power back position is one of need. This little bit of leaked information will serve as a wakeup call to Blount and his agent as well. If you don’t sign with the Patriots with what they offered, they’ll move on quickly to someone else. Except Lynch did their dirty work for them. Lynch never expressed interest in playing for the Patriots in the past, and I doubt that he has any now. This is just a leverage game he’s playing with the Raiders, the team that made him discuss coming out of retirement in the first place. It wouldn’t be shocking if Blount in the next few days decides that the offer by New England is good enough and he returns for the 2017 season. But regardless of whether Blount or Lynch (very unlikely) signs with New England, look for the Patriots to add a youthful power back this spring. The draft has plenty of prospects and the team will be looking there. This entry was posted in 2017 Free Agency, Patriots Commentary and tagged 2017 NFL Combine, 2017 NFL Draft, 2017 Patriots Season, Bill Belichick, Brandon Bolden, D.J. Foster, Dion Lewis, James White, LaGarrette Blount, Marshawn Lynch, New England Patriots, NFL, Patriots, Patriots running backs, Rex Burkhead on April 11, 2017 by Steve Balestrieri. 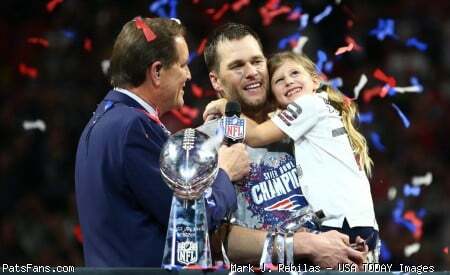 Good morning, here are your Sunday’s Patriots news 4-9, & AFC East Notes. We hope everyone is enjoying their weekend and the weather. The next few days are going to be positively spring-like. So, we hope everyone can get out and enjoy some outdoor time. 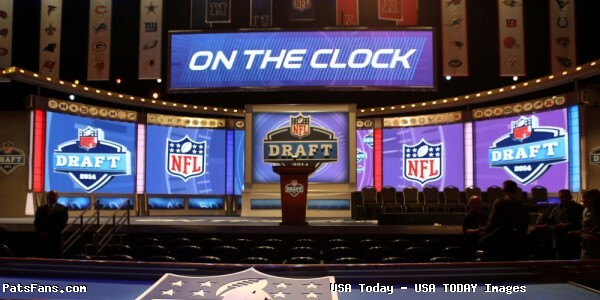 Speaking of spring, it is almost time for the NFL Draft. Have you read out our first Mock Draft for 2017 yet? 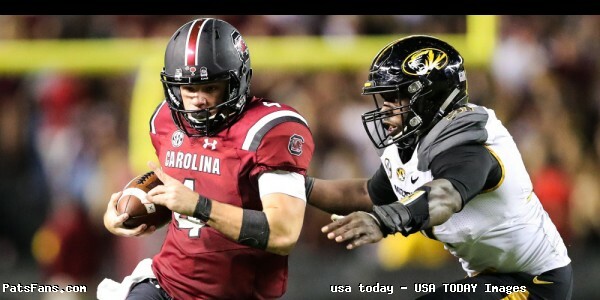 You can check it out here: Also, be sure to check out our latest Patriots 4th & 2 podcast where we began to delve into the upcoming draft. Speaking of the draft, I still think the Patriots will try to maneuver into a first or second round draft pick, but that will take some doing. Congratulations to PatsFans.com’s very own Miguel Benzan, who you all know as @PatsCap. He is starting his own podcast with Russ Goldman. When it comes to the inner workings of the Patriots salary cap, Miguel has no peer. His first guest on the podcast is slated to be Pats beat writer Mike Reiss, so this should be considered a must-listen. Adrian Peterson Visit Due Diligence Only? The Patriots brought in Adrian Peterson for a visit this week and he left without signing and that shouldn’t be surprising. Especially considering Jonathan Kraft’s comments about Peterson at the time of his spanking incident, which shouldn’t be forgotten. Bill Belichick frequently brings in players to fill out an emergency player list should disaster strike during the regular season. They interview a player and find out if he’d fit their system and locker room. If that player is available later in the year and the need arises, then he’d be signed. Many teams do that. But Peterson has gone on record saying he still wants big money, more than the Patriots will likely be willing to pay. He has had an injury history the past few years. The Patriots know this and probably wanted to see if he still has the ability to be effective, which is why they conducted a workout with him. The other problem is, Peterson puts the ball on the ground a lot and that’s something Belichick doesn’t tolerate. Due to those three considerations and Kraft’s earlier comments, I’d say it’s doubtful he’d be brought in. As for his next destination, it appears he’s heading to New Orleans for his next visit. The Richard Sherman rumor mill is still percolating here in New England and with good reason. His talent is obvious and he’s still at the top of his game and one of the best cornerbacks in the NFL. But again, what’s the likelihood we would see him land with the Patriots? It’s probably doubtful. The rumor mill has been going for quite a while. However, in my opinion, the very real interest in Sherman by New England was based before the team signed Stephon Gilmore. This week we heard the Patriots would still have an interest in acquiring Sherman if the Pats were to lose Malcolm Butler. I don’t how they’d “lose” Butler at this point since they control where he plays this year. They’d have to either trade him, or not match an offer from another team. The other scenario that lends itself to this deal not happening is money. Sherman is counting $13,600,000 against the cap this season and $13,200,000 in 2018. Coupled with Gilmore’s salary, Devin McCourty, and Duron Harmon, the Pats now have a ton of cash invested in the secondary. They have never allocated that much money in the secondary before. The Patriots and Brandon Bolden have agreed to bring back the veteran backup and special teams’ standout. While his roster spot will still have to be earned this summer, with Rex Burkhead being added along with James White and Dion Lewis on the roster, it was a no-brainer bringing back a player who’s been a hard-working, solid citizen and key special teams guy. Bolden’s deal is for one year with a $775,000 base salary. He also received a $50,000 signing bonus along with a $30,000 workout bonus. His total contract will count $695,000 against the Patriots’ 2016 salary cap. Mike Giardi from CSNNE has reported that the Patriots have “an offer on the table” for free agent running back LeGarrette Blount. One would have to take it that the offer by New England hasn’t been accepted. Blount’s telephone no doubt hasn’t been ringing, so it seems like it’s just a matter of time before the two sides work something out. Blount had a terrific 2016, rushing 299 times for 1,161 yards and 18 touchdowns but he’s 30-years old and he tailed off down the stretch. Even if he is brought back, I’d expect the team to add another power running back during the upcoming NFL draft at the end of the month. The team hosted former Texas running back D’Onta Foreman this week in the lead-up to the draft. Foreman, 6’0″, 245-pounds, rushed for more than 2000 yards and 15 touchdowns for the Longhorns during the 2016 season. He’s been linked to the Patriots by many sources. The Buffalo Bills announced that the team has signed eight players on Friday. They included CB Marcus Cromartie, T Cameron Jefferson, LB Jacob Lindsey, DE Jake Metz, OL Jordan Mudge, DB Bradley Sylve, LB Junior Sylvestre, and LB Eddie Yarbrough. The additions are mainly to bolster the back end of the roster, although Cromartie had plenty of playing time with the 49ers after totaling 18 tackles, three passes defensed, two tackles for a loss and one fumble recovery in 21 games with one start. Rumors in the Buffalo media have GM Doug Whaley being enamored with Clemson QB Deshaun Watson. This will bear watching as the draft unfolds. The team has brought back QB Tyrod Taylor but perhaps they’ll invest in Watson for the long term. The Miami Dolphins had an issue with their linebacking core in 2016. They had Koa Misi, who ended up getting hurt again and not much else. During free agency, they signed former Pittsburgh linebacker Lawrence Timmons to a deal, but Timmons is 31 and he is going to be asked to fill a lot of holes in the defense. Armando Salguero of the Miami Herald spelled out a number of linebacker prospects the Dolphins could land with the 22nd pick in the draft. They include Vandy’s Zach Cunningham, Wisconsin’s T.J. Watt, Temple’s Haason Reddick, KSU’s Jordan Willis, OSU Raekwon McMillian and others. The New York Jets also added to their depth by signing free agent tight end Brian Parker. The veteran tight end was originally signed as an undrafted free agent by the San Diego Chargers in 2015 but later ended up with the Kansas City Chiefs, appearing in nine games. The Jets attempted to pick him up last season but he was waived two days later with the failed physical designation. He is a graduate of Albany and the 6’4, 265-pounder had career numbers of 1006 receiving yards with nine touchdowns for the Great Danes. With the Jets in near total rebuild mode, despite still needing a franchise QB, they may opt to use the upcoming draft to fix a defense that slipped to 28th in scoring. 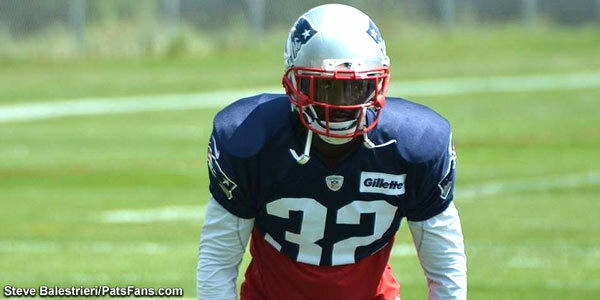 They’ll need help on the edge at OLB and CB since the team has released Darrelle Revis. 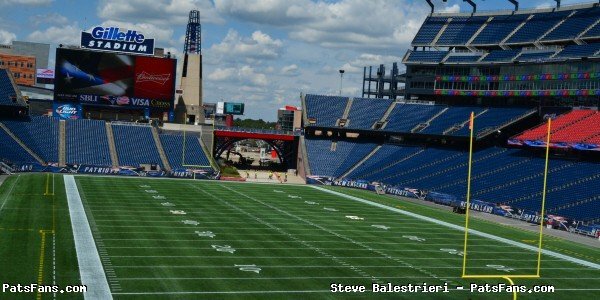 This entry was posted in Patriots Commentary, Patriots News and tagged 2017 NFL Combine, 2017 NFL Draft, 2017 Patriots Season, 53 Man Roster Projection, Bill Belichick, Brandon Bolden, Buffalo Bills, Dion Lewis, Dont'a Hightower, Malcolm Butler, Miami Dolphins, New England Patriots, New York Jets, NFL, Patriots, Rob Gronkowski, Tom Brady on April 9, 2017 by Steve Balestrieri.